This is the tritone scale. Built by pairing two major triads a tritone apart, and then placing those notes in scale order, the tritone scale brings a nice level of tension to your lines that you can use to build energy when soloing over 7th chords in a jazz or fusion context. Art music in the twentieth century encompasses a wide range of expression, forms, and media. The development of mass communication and easy travel throughout the twentieth-century has linked the world into a global community that allows the collection and blending of many sources. One result of this is that diverse musical sources including folk music, Classical Indian Scales, American jazz elements, and the musical forms of Asia among others, have been assimilated into the Western Musical Tradition. Folk music assimilation began before the end of the nineteenth century as Western thinkers explored previously remote lands and cultures. An important result of this travel was the use of folk modes, pentatonic scales, and whole tone scales derived from native music in works by composers such as Bartók, Stravinsky, and Debussy. Non-diatonic scales based on modes and seemingly abstract intervals such as the half step and whole step proved tantalizing to composers during the last part of the nineteenth, and early part of the twentieth century. 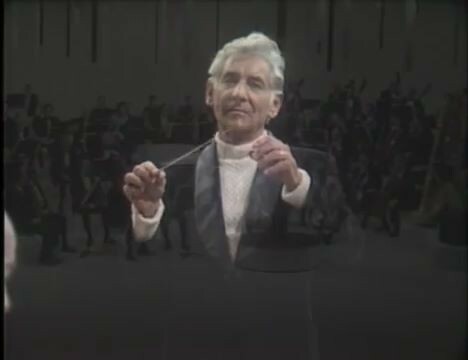 See an analysis of Prelude to a Fawn by Leonard Bernstein next. An analysis of Prelude to a Fawn by Leonard Bernstein in 2 parts. Another process occurred concurrently with the assimilation of folk music sources. Specifically, the stylized formal relations of pitch, progression, and form that defined the tonal system were beginning to break apart. In the mid-nineteenth century composers began to exploit the octatonic scale (a symmetrical scale that alternates half steps and whole-steps) as the basis of triadic progression. An early use of the octatonic scale is found in the Chopin Mazurka, Opus 50#3 (1841). In this work an octatonic scale (D-F-F#-G#-A-B-B#) is formed by the combination of bass D-F-G#-B-D, and treble, F#-A-B#-D#-F#, interval-three cycle minor thirds in m. 161-165. Chopin’s contemporary Franz Liszt also experimented with octatonic constructions in his works, including the B-minor Sonata and the Sonnetto 104 del Petrarca from book two of the Années de pélerinage. In the Sonnetto, a series of traditional diminished and dominant seventh chords create the linear octatonic collection, B#-C#-D#-E-F#-G-A-Bb, as they prolong motion to an E-major tonic. These examples are early evidence of new scalar forms that are important in the evolution towards the breakdown of the traditional major/minor scale system. These forms of symmetrical construction foreshadowed the move toward non-functional structures as seen in the modes and pentatonicism of folk music. In later twentieth-century music, tritone dyads, symmetrical axes derived from inversionally symmetrical relations and recurrent interval-three cycles of the octatonic scale led to an equal or symmetrical subdivision of the octave. While symmetrical properties were to a large extent commonly derived (e.g., by Russian and French composers) from the pentatonic and modal materials of Eastern-European folk music, the concept of symmetry emerged in the works of others (e.g., German and Viennese composers) from the chromatic tonality of late nineteenth-century Romantic music. Certain types of symmetrical pitch collections became associated with certain composers: a few instances are the pentatonic and modal scales of Debussy and Stravinsky, the whole-tone (and octatonic) scale of Debussy, the octatonic scale of Rimsky-Korsakov, Scriabin, and Stravinsky, and the use of strict inversionally symmetrical procedures in the atonal works of the Viennese composers. Russian nationalist composers of the late nineteenth century, such as Mussorgsky and Rimsky-Korsakov, influenced composers in the early part of the twentieth-century including Stravinsky, Debussy, and Bartók. Rimsky-Korsakov in particular is celebrated for employing octatonicism in his works, which he did for the first time in the Symphonic Poem Sadko (1867). He is also known for the claim in his autobiography, My Musical Life, that he invented the octatonic scale. The alternating whole and half-step octatonic scale was even dubbed the “Rimsky-Korsakov” scale by his students. Another early use of symmetrical pitch construction and progression is found in Mussorgsky’s Act II Clock Scene from Boris Godunov (1871). The progression between two transpositions of a dominant ninth chord a tritone apart is facilitated by the common tritone between them. This tritone is also reiterated as an ostinato in the bass. The resulting symmetrical progression of two symmetrical chords, B-D#-()-A-C# and E#-A-()-D#-Fx, leads to the reinterpretation of the dominant ninth, a traditional tertian construction, in an abstract harmonic context. Significantly, this process is an early instance of invariant set-segment construction that is later adapted in serial composition, and in symmetrical constructions found in the works of Stravinsky, Bartók, and Debussy. 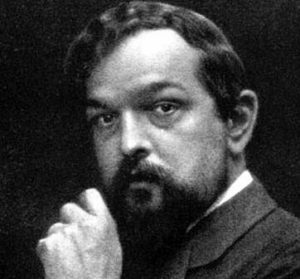 The pentatonic and modal characteristics that Debussy acquired, largely through the influences of the Russian nationalists, are the basis of a more significant tendency toward the breakdown of the traditional tonal system and the formation of a new one based on equal or symmetrical divisions of the octave…Debussy, who was only indirectly influenced by folk music–it remained for him an “exoticism”-went beyond the precepts of tradition in his extensive employment of symmetrical (e.g., whole-tone and pentatonic [and octatonic]) constructions. Although Debussy owes much to the Russian folk modes that evolved into octatonic and symmetrical structures, he did not strive to assimilate folk idioms. This discussion of five selected Préludes will highlight non-traditional structures, particularly those involving whole-tone, pentatonic, octatonic, and chromatic interactions. The symmetrical properties of octatonic, whole-tone, and pentatonic sets, and the invariance of tritone segments among these and modal/diatonic sets, are powerful elements in Debussy’s musical idiom. Wagner pronounced himself in favor of the laws of harmony. I am for freedom. But freedom must essentially be free. All the noises we hear around ourselves can be re-created. Every sound perceived by the acute ear in the rhythm of the world about us can be represented musically. Some people wish to conform to the rules; for myself, I wish only to render what I can hear. Indonesian Gamelan, café music, and visual images such as moonlight, fireworks, or dancers find their way into the musical expression of the Préludes. As Jarocinsky posited in his study, Debussy Impressionism and Symbolism, Debussy was interested in sound for its own sake, in the sonic event. This often meant the isolation of pitch, texture, and stratification of materials so that the aesthetic appeal of the notes, free from any system, was the object. Debussy assimilated his varied impressions into the subtle musical forms that define his compositional style. The musical landscape retains vestiges of dominant-tonic allusions, triadic progressions, and traditional formal schemes such as ABA and Rondo, but materially departs from the tonal system. Although Debussy was not oriented toward traditional tonal development or expectations, vestiges of tonality permeate the Préludes to varying degrees. The prelude “La terrasse des audiences du clair de lune” from Book II is a haunting example of this. “La terrasse” magically captures the static, muted colors of a moonlit terrace within a predominantly abstract pitch context, but with conspicuous triadic and V-I allusions. Not surprisingly, the paired phrases derived from the classical notion of periodic structure are pervasive throughout the preludes and reflect the inescapable influence of hundreds of years of tonal evolution. Debussy once remarked: “Berlioz, Mozart, Beethoven-they are great masters whom I venerate, the last two above all.” Debussy was likely intrigued with the balance, proportion, and classical aesthetics derived from the period structures, ABA, and Rondo forms of Mozart and Beethoven. Perhaps these sources shaped the framework of arch structures and symmetrical pitch constructions in the Préludes. I detest doctrines together with all their impertinences. That is why I wish to write down my musical thoughts with the greatest self-detachment. I wish to sing of my inner landscape with the naive candor of childhood. A mind free from dogma and constraints is better able to create works that capture the delicacies and limitless possibilities of the imagination. Self-detachment from formal schemes and the artwork itself can make possible artistic innovation. The “naive candor” which Debussy mentions could stem in part from the joy and candor he saw in his daughter Chouchou, born in 1905. Debussy was very fond of her, and his experience of her discovery of life likely inspired Debussy’s conceptions of art and the experience of the imagination. To name an object is to suppress three-quarters of the enjoyment to be found in the poem, which consists in the pleasure of discovering things little by little: suggestion, that is the dream. The gradual unfolding of pitch materials throughout the Préludes follows this dictum as well. While the outset of each Prelude contains the seeds for development, one must follow their progression to the end to ascertain the process. The Symbolist Poets, Baudelaire, Mallarmé, and Verlaine all affected Debussy aesthetically and stylistically. Vagueness, fleeting moods, and the emphasis on expression at the expense of clarity are Symbolist characteristics found in the planed textures of Debussy’s music. The Symbolist interest in sound, atmosphere, and the rhythm of verses appealed to Debussy’s stylistic self-indulgence, as did the contemporary disfavor with Realism and realistic subjects. The works of the Symbolist poets also affected Impressionist painters such as Redon, Monet, and Sisley, and led to their stylistic emphasis on the moods and effects of light and color in nature. The Impressionists adapted the Symbolist’s emphasis on the flow and rhythm of language to create effects in their own media. Their canvasses employed small planes of juxtaposed color to create mosaic textures that blurred form and line. Debussy was intrigued by this accentuation of evocative, non-representational moods and subjects. He applied the aesthetic in a musical way so that the elements of music, pitch, rhythm, and form, were cast in Impressionist planed and layered structures. As the Symbolist poets explored the aesthetic rhythm and combination of words, Debussy fused and juxtaposed pitches and textures in mosaic constructions. While the philosophical notion of an inner harmony in nature spans the annals of intellectual thought, it is nonetheless compelling to this day. Music theorists have interpreted and manipulated it to justify many different relational systems, including the symbols and meanings imparted by the tonal system. In contrast, Debussy’s application of this concept in each prelude forges a new musical language and archetype of reflexive versus non-reflexive meaning. The relationships and processes that arise are based on the interaction of various types of pitch sets through common pivotal elements. Who can know the secret of musical composition? The sound of the sea, the outline of a horizon, the wind in the leaves, the cry of a bird-these set off complex impressions in us. And suddenly, without the consent of anyone of this earth, one of these memories bursts forth, expressing itself. It carries its own harmony within itself. An extension of Debussy’s interest in natural processes is the application of symmetrical forms such as arch structures, Fibonacci and Golden Section Proportions, tritones, and pitch set partitions that create symmetry. Debussy was drawn to the aesthetic notion of perpetual regeneration, a process common to symmetrical sets as well as the often relentlessly changing pitch content in the Préludes. For example, tritone C-F#-C is symmetrical either around an Eb (C-F# partition) or A (F#-C partition), a construction which can be used in a symmetrical scheme around either axis. The axes themselves form a symmetry with the A-Eb tritone around either F# or C. The combination of all of these pitches, A-C-Eb-F#, is a minor third cycle which can be used to generate a segment of either octatonic 0 or 1, constructions which themselves allow for additional symmetrical properties. This application of symmetrical pitch properties is one facet of the musical language of the Préludes. The five preludes in this study all have some use of tritone symmetries and octatonic structures. Arch forms represent curved lines, while symmetrical constructions, like tritones, return to the pitch they started from, for example, F#-C-F#. In the prelude “Ondine,” the cycle of the character “Ondine’s” animation from the imagination to her inevitable return to the imagination follows the dictum of “ending up exactly where she began.” One aspect of the character “Ondine’s” musical depiction of evolution and return is that Debussy employs a Rondo form with repeated and transposed sections that mirror the symmetry of the life cycle. Debussy’s profound interest in the natural derivation of symmetry and curved forms accounts for the symmetrical structures throughout the Préludes. In short, dividing a segment into two parts in a mean and extreme portion, so that the smaller part is to the larger part as the larger is to the entire segment, yields the so-called Golden Section, an important concept in both ancient and modern artistic and architectural design. Thus, a rectangle the sides of which are in the approximate ratio of 0.618 is presumed to have the most pleasing proportions, aesthetically speaking. Debussy would have had ample opportunity to learn about GS through his constant associations with painters and other artists; that interest in GS was endemic in the visual arts at that time is documented by the exhibition in Paris by the Section d’or (golden section) group of painters in 1912…It is worth saying straight away, though, that number and proportion were ideas much in circulation among the French Symbolist artists with whom Debussy mixed in his formative years. By contrast, GS is a natural principle, like the harmonic series, whose physical existence antedates mankind. As such it would hardly be disregarded by Debussy, were he aware of it. When he wrote, more than once, about his musical search for a world of sensations and forms in constant renewal, his aim was evidently to free music from rigidly stereotyped forms. At the same time his concern for proportional balance within his formal freedom is well documented in his own writings. Because the tonal system had reached its logical evolutionary end and the liberation of the twelve tones into either serial or non-serial means was the clear future, Debussy’s style did not underscore the natural origins and implications of the tonal system. Another important relation found in the Préludes stems from George Perle’s identification and labeling of interval cycle ratios. The term ratio refers to the alternation of intervals in a pitch segment. The completion of interval cycles can have significance on a local cellular level as well as in a larger formal scheme. Each ratio refers to the alternation of two intervals. The system of compound cyclic interval sets found in the Préludes includes the following ratios: 1:2 the alternation of minor-second/major-second C-C#-D#-E-F#; 1:3 the alternation of minor-second/ minor-third C-Db-E-F-Ab; 1:4 the alternation of minor-second/major-third which yields two interlocking perfect-fourth segments C-Db-F-Gb-Bb; and 1:5 the alternation of minor-second/perfect fourth C-Db-Gb-G-C. Moreover, each of these interval ratio structures comprehends two intercalated uni-intervallic cycles: (1:2), two interval 2 cycles; (1:3), two interval four cycles; (1:4) two interval 5 cycles C#-F#-B; (1:5) the Z cell, e.g., C-Db-Gb-G. The expansion and contraction of interval cycles and their relations is an important means of progression in the Préludes. The early works of Debussy, including L’Enfant prodigue (1884) and La Damoiselle élue (1888) follow an expressive, lyrical melodic style inspired by the French composer Massenet. Debussy’s String Quartet (1893) and Prélude à l’Aprés-midi d’un faune (1894) begin to illustrate the textural planing and arpeggiated figuration that characterize Debussy’s later works. They also explore shifting timbres and the colors of harmonies, notably in nonfunctional seventh and ninth chords. The dominant ninth chord, in particular, is important in the derivation of non-traditional constructions in later works, including the piano Préludes. While the early works show the seeds of later pitch, color, and texture innovations, it was not until the 1889 Exposition Universelle in Paris that Debussy encountered the music of the Russian nationalists that was to profoundly shape his later development. Specifically, Debussy heard Rimsky-Korsakov conduct two concerts of Russian music at this Exposition, an experience that shaped his subsequent musical thinking. From the Russian music, Debussy adapted modal scalar constructions, while the music of the Javanese Gamelan influenced his use of the pentatonic scale. Experimentation with these forms also led to generation of the whole-tone and octatonic scales in particular, from the modes. These constructions minimized and at times removed traditional chord functions. Moreover, they intrinsically represented an evolutionary step closer to chromatic and octatonic interactions in later works including the Préludes. In the Nocturnes (1893-99) for orchestra, chords had a coloristic rather than functional meaning as leading tone, fifth, and third scale degrees were variously removed from tertian chords and scales. Progression was not through tonally conceived goals, but instead through the blocking of textures, juxtapositions of rhythm and timbre, and parallelism. The most important work of this period is the opera Pelléas et Mélisande (1893-1902), Debussy’s first synthesis of impressionist and symbolist styles. It also is the first work in which Debussy polarizes pitch elements in order to depict a program or characters, a technique found in his later piano Préludes. In Pélleas, a conflict is established between the notion that humans are capable of independent emotions and actions, and the idea that they are symbols of fate. Mosaic settings of parallel seventh and ninth chords and modal and whole-tone melodies and harmonies are seminal features throughout Pélleas. Yet the extraordinary feature within this opera is that pentatonic/diatonic collections paint the motives that represent the human sphere and the notion of free will, while whole-tone elements represent the “Fate” motive. Transformation of a dominant-ninth chord by the replacement of a single note creates a whole-tone segment that has the stunning effect of transforming the diatonic, human sphere into the whole-tone, fatalistic one. This early instance of whole-tone versus diatonic/pentatonic polarity provides the basis for polarized pitch relations within the later piano Préludes. These include polarity between sets, such as whole-tone versus octatonic, and also within sets, such as between octatonic 1 and 2, or whole-tone 0 and 1. The impressionistic textures and musical landscape of nonfunctional pentatonic, modal, whole-tone, and octatonic pitch sets yield to a more nationalistic, neo-classical style in Debussy’s later years, 1915-18. Illness and the excoriation of the First World War took their toll on Debussy, and spawned a desire to preserve the French spirit. Three sonatas, for cello and piano (1915-16), for flute, viola, and harp (1916), and for violin and piano (1917), were the fruits of this inspiration. Unlike his middle-period works, these pieces feature a clarity and economy of melody and harmony. Sparse instrumentation adds to the relative dryness of the sonorities, and recalls the earlier eighteenth century “Galante style”. This study will consider five of Debussy’s Préludes for piano: “Ondine”, “Les sons et les parfums tournent dans l’air du soir”, “Feux d’artifice”, “La terrasse des audiences du clair de lune”, and “Les fées sont d’exquises danseuses”. All represent the middle-period symbolist and impressionist style and encompass different stages in the gradual transition away from tonal procedures. While Debussy’s early works are more closely related to Late Romantic harmonic and melodic practices, some of the piano Préludes, late in Debussy’s oeuvre, are a striking embodiment of post-tonal form and procedures. Within all the Préludes, a coloristic use of pitch abounds and reflects the evocative themes and subtle mosaic construction of the Impressionists. To achieve this, whole-tone, chromatic, and octatonic forms blend with and often replace diatonic forms. Because of this, this treatise does not pursue a traditional tonal analysis. The tonal forms which do arise usually result from partitioning of octatonic, whole tone, chromatic, and symmetrical pitch collections. Octatonic forms commonly delineate important structural points, as Allen Forte points out in his article, “Debussy and the Octatonic”: ”The octatonic set is everywhere in the music of the two volumes of Préludes for the piano, almost always occurring at the climactic moments in the music or in pre-cadential locations. While I do not subscribe to Forte’s notion that octatonic forms usually occur at “pre-cadential locations,” and do not believe traditional cadences are central to the Préludes, he is correct to assert the importance of octatonicism throughout the Préludes. Octatonic forms are often the end products of pitch interactions and commonly demarcate structural and textural changes. The occurrence of octatonic structures is pervasive throughout the Préludes. Even more traditional preludes, such as “Général Lavine,” with its “cake walk” accompaniment, “Pickwick,” with the blatant “God Save the Queen” quote, or the traditionally melodic “La fille aux cheveux de lin,” all contain modal or octatonic fragments and symmetrical constructions. Traditional elements such as paired phrases, triadic constructions, ABA form, to name a few, occur throughout Debussy’s Préludes. It is the non-traditional procedures in these preludes, however, that distinguish them as transitional works in the evolution away from traditional tonality. A duality of traditional and non-traditional features thus characterizes the Préludes to varying degrees. One example of a less abstract prelude, “Pickwick,” combines tonal elements yet also foreshadows the use of more involved octatonic and chromatic procedures with some chromaticism and symmetrical tritone constructions. “Pickwick” depicts the unabashedly programmatic theme of the foppish character from Dickens with melodies that paint his pomposity and contradictory clumsiness. “Pickwick” is easy to listen to, easy for a traditionally trained pianist to read, and depicts an accessible Impressionist image of Dickens’ character Pickwick which is not so far removed from the genre of the Romantic Character Piece. The presence of the “God Save the Queen” melody and light, rhythmical textures add to the accessibility of this prelude. Other preludes, such as “La terrasse des audiences du clair de lune“, “Les sons et les parfums tournent dans l’air du soir”, or “Ondine” represent a further evolutionary step from tonality. “La terrasse,” in particular, illustrates how tonal procedures are replaced by octatonic partitions of the twelve-tone scale as the means of progression and large-scale structure and design. In “La terrasse,” octatonic collections create quasi-tonal key goals and replace traditional chordal progressions and tonal relations. The style and formal procedures of “La terrasse” typify Debussy’s Impressionism and reflect the influence of esthetic principles espoused by the Symbolist painters and poets. The adoption of symmetrical and natural formal processes coupled with the rejection of formulas and traditions had far-reaching consequences in the Préludes. Collectively, they led to a striking transformation of tonality and a complete reinterpretation of larger hierarchical systems within these preludes. In preludes like “La terrasse,” the language moves farther from the non-reflexive syntax and traditional implications of tonality and closer to a system defined by the context itself, i.e., the reflexive meaning of pitch relations. For a discussion of equal divisions of the octave in nineteenth-century chromatic tonal music see Felix Salzer and Carl Schachter, Counterpoint in Composition: The Study of Voice Leading (New York: McGraw-Hill, 1969), p. 215-21. For a discussion of the Liszt see Paul Lansky and George Perle, “Atonality,” The New Grove Dictionary of Music and Musicians, ed. Stanley Sadie, vol. 2 (6th ed., London: Macmillan, 2001), pp. 139. Successive transpositions of the initial dim-7th B#-D#-F#-A cast this chord as a referential collection with enharmonic equivalence. For a fuller discussion of symmetrical structure in nineteenth-century chromatic tonal music, see Richard Taruskin, “Chernomor to Kaschei: Harmonic Sorcery; Or Stravinsky’s Angle,” Journal of the American Musicological Society 38/1 (Spring 1985): 79ff, and Elliott Antokoletz, The Music of Béla Bartók: A Study of Tonality and Progression in Twentieth-century Music (Berkeley and Los Angeles: University of California Press, 1984). Nicolai Rimsky-Korsakov, My Musical Life, ed. Carl Van Vechten, trans. Judah A. Joffe (New York: Alfred A. Knopf, 1923), p. 72. For a deeper examination of number symbolism, Golden Section, and proportional systems in Debussy’s music see Roy Howat, Debussy in Proportion: A Musical Analysis (Cambridge: Cambridge University Press, 1983). See Claude Debussy, Debussy on Music: The critical writings of the great French Composer, collected and introduced by François Lesure, trans. and ed. By Richard Langham Smith (Ithaca: Cornell University Press, 1988), p. 243. Ibid., Claude Debussy, p. 243. Ibid., Claude Debussy, p. 249. Edward Lucie-Smith, Symbolist Art (London: Thames and Hudson LTD, 1972), p. 54. Ibid., Claude Debussy, p. 248. Ibid., Claude Debussy, p. 255. Roy Howat, Debussy in Proportion: A Musical Analysis (Cambridge: Cambridge University Press, 1983), p. 7. According to such writers as Erno Lendvai, in his analyses of Bartók’s music, these proportions correspond to natural shapes such as fir cones, seashells, etc. See also the last chapter in Elliott Antokoletz’s “Principles of Pitch Organization in Bartók’s Fourth String Quartet,” Ph.D. diss., City University of New York, 1975. Elliott Antokoletz, Twentieth-Century Music (Englewood Cliffs New Jersey: Prentice Hall, 1992), p. 89. Allen Forte, “Debussy and the Octatonic,” Music Analysis 10:1-2 (1991): p. 147.